1928 Several high school students under the leadership of Dr. Walter Staub, gym instructor at Kanti Frauenfeld, establish the Swimming Club Frauenfeld. At the same time club colors are defined. 1928 Max Hanhart, Werner Keller, Ernst Schärer and Georges Kihm become the first swimmers of Frauenfeld who participated in a Regional Championship. 1929 Werner Halter performs at the Regional Championship for the first time. 1935 Water polo players take part in the championship for the first time. 1944 Novelty: girls were admitted to the club for the first time. 1945 After the war SCF arranges a water polo championship. It was temporarily suspended, because most players had to perform active duty. 1946 The swimmers get promoted in Switzerland. Club takes part in category B for the first time. 1947 A year later swimming club is celebrating promotion to category A. 1948 Women's team goes to Switzerland for the first time. Club championship takes place. This year three water polo teams take part in the championship. 1948 Swimming Club Frauenfeld becomes the winner of the Junior and Youth Jumping Cup! 1949 The boys celebrate their first victory at the Youth Club Championship. 1950 A year later girls with the fastest time do the same. 1951 The water polo players get promoted to the first division. 1953 Renate Herzog wins the first national title for swimming club Frauenfeld in Vevey. What is more, the 4 x 100m breaststroke brings silver medal at this championship. 1955 Unfortunately, this year begins with the relapse of swimming division because of poor training conditions in Badi Frauenfeld. 1962 Water Polo players get promoted to the National League. 1965 The record crowd consisting of 1,000 spectators followed the National League B-top battle between Frauenfeld and Arbon. Frauenfeld wins the game, but doesn`t get promoted because of losing playoff. 1967 This year players succeed in getting to the major league. Here are the names of the team members: René Strasser, Peter Gimmi, Heinz Frey, Walter Haag, Hans Peter Ruh, Roli Marty, Paul Keller, Fredy Rohr and Fritz Hild. 1973 New baths with heated outdoor and indoor lap pools are opened. Jürg Strasser takes the young players under his wing – as a coach. Thereby starts the rise of the club. Boys and girls of the swimming club quickly make it the best one in the region. 1978 Swimming Club Frauenfeld for the first time organized Swiss Swimming Championship. 1983 In autumn the SCF club magazine is published for the first time. 1984 Water polo players become fourth in the National League B under the management of coach René Affentranger. 1985 The trainer squad has increased due to Jürg and Barbara Strasser who have decided to take a break after a few years. New licensed coaches are Corinne Strasser and sisters Sandra and Monika Diethelm. The students and young water polo team become Vice Swiss champions. The juniors are third! But the real sensation is the rise of the first team to the National League A! 1989 The water polo junior team becomes the Swiss champion. That is the starting point for highlighting the club's history in water polo division. 1990 Unfortunately, this year water polo team starts losing its position in the National League B. As a result of the lack of options in this class it is equal to withdrawal from the first division. 1991 The swimmers reach the second place in the medal table at the Youth Swiss Championship. 1992 Chantal Strasser for the first time becomes a Swiss champion in over 100m freestyle swimming in Geneva. 1993 Swimming Club Frauenfeld organizes Swiss Swimming Championship for the second time. 1995 Swimmers of the Frauenfeld club win the first gold medal in the 4 x 200 m freestyle at the Swiss Championships in Renens - with the help of two siblings` pairs (Strasser and Diethelm). At the Youth Swiss Championship in Lancy all 12 Frauenfeld participants (4 boys and 8 girls) get at least one medal (including 6 gold medals). With such exceptional performance the club finished second in the medals table. Water polo team ensured its return to the National League B after the successful season! 2000 Gerry Strasser for the first time becomes a Swiss champion in over 200m freestyle in Geneva. The water polo team misses promotion to the top league because of weak nerves. 2001 This year takes place the water polo team withdrawal and the consequent relegation to the 2nd league. 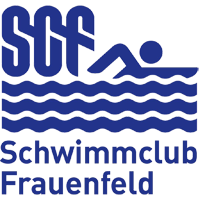 2002 Swimming Club Frauenfeld organized Swiss Swimming Championship for the third time. Water Polo team returns to the first division. 2008 Water polo team wins the first league championship against Schaffhausen and rises on a non-voluntary basis. 2009 Séverine Pfändler becomes the head coach of swimming division. 2010 Water polo team wins the first league again, but doesn`t get promoted as a result of changed association conditions. For the first time in several years the team becomes second. 2012 The newly established water polo junior team forms a playing association with SC Winterthur. The men's teams finish the season in their respective leagues by taking the third and the second place. After several years of absence the club takes part in the Cup again. 2013 SC Frauenfeld wins the Beach Ball Regional League cup which is held for the first time. In the finals in the Arbon pool it prevails over Red Fish Neuchâtel with the result 12:9. Swimming Club Frauenfeld goes through the 6 Nations Water Polo Tournament on behalf of Swiss Swimming Federation. The following countries take part: Ireland, Wales, Austria, Denmark, Czech Republic and Switzerland, which becomes an ultimate victor of the event. 2014 After several years of absence SCF for the first time its own complete junior team is launched.